Making donations to the future generation is still a novel concept in South Korea. While some 155 wealthy individuals joined The Giving Pledge, a global commitment by the super rich to dedicate the majority of their wealth to philanthropy, none are from South Korea. Even the moves to create a public trust is scrutinized here as an attempt to evade or reduce taxes or fortify the managerial control of a conglomerate. There are, however, a handful of South Korean business leaders standing at the forefront of the movement, such as AmorePacific chairman Suh Kyung-bae. In July Suh established the Suh Kyung-bae Science Foundation to support the research of life sciences with 300 billion won ($267.9 million) of his private assets, sending a fresh wave of leadership into the chaebol world. This week, The Super Rich Team looks at two of Korea’s business leaders who are eager to invest in the up-and-coming generation by fostering intrinsic academia. In 1991, Suh Kyung-bae was the newly-appointed planning director of Amore, the cosmetics unit of Taepyeongyang Group set up by his father Suh Sung-hwan. The group was in a managerial crisis due to a debt pile up from an aggressive expansion of business units encompassing securities, electronics, life insurance and printing. The group’s main business, cosmetics, was on the verge of bankruptcy due to fierce competition from home and abroad. Starting by trimming the bloated volume of the business, the junior Suh focused on polishing the management portfolio to build the group into the nation’s No.1 cosmetics maker. Since he took the helm of the group in 1997, Suh has focused on raising the research and development capacity by supporting scientists. Chairman Suh later said that what saved a sinking, debt-ridden group was the 1997 million-seller anti-aging cosmetics cream, IOPE Retinol 2500, which was originally developed by a group of scientists at an R&D center built by the senior Suh. In 2006, Suh Kyung-bae established an organization and awards ceremony for female scientists, and in 2015 he began subsidizing research for molecular biology and cell biology. Suh has said that he plans to donate up to 1 trillion won from his private assets to create a foundation that can foster science for the next generation. The latest Suh Kyung-bae Science Foundation will select three to five up-and-coming scientists in the field of life science and provide up to 2.5 billion won for a five-year research project. During a ceremony to mark the launch of the foundation, Suh said, “Giving up on science is the same as giving up on the future,” promising to continue contributing to help young scientists focus on their work. 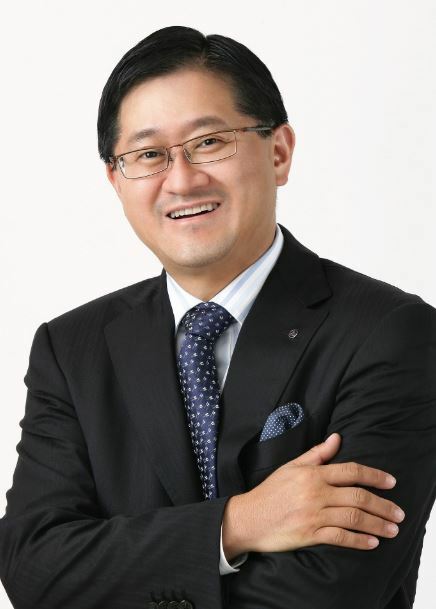 Suh is the nation’s second richest entrepreneur with his total assets reaching over 9 trillion won. He owns 10.72 percent of AmorePacific shares and 55.7 percent of the group’s common stocks. Last month Cho Chang-gul, the founder and honorary chairman of the nation’s largest furniture maker Hanssem, vowed to give his full support in helping to establish a think tank for national policies. The establishment of “Yeosijae,” or “Future Consensus Institute” is just the latest in Cho’s endeavor to create South Korea’s own version of the Brookings Institution. In 1970, the then 31-year-old construction designer set up a kitchen designing and kitchenware manufacturer called Hanssem. Hanssem’s unconventional idea helped housewives, who were fed up with kitchen labor, decorate their traditional workplaces. Amid rapid economic growth and housing development throughout the following decades, the popularity of interior design, which was once considered an unaffordable luxury, continued to rise. Hanssem expanded the business to make and sell houseware to meet the needs of wealthier customers. Exports of the company’s houseware and kitchen products contributed to Hanssem stepping into the conglomerate world just 15 years after it was established. As a self-made successful entrepreneur, Cho has said he has always dreamt of building a prestigious think tank that envisages the future of Korea and its neighbors. 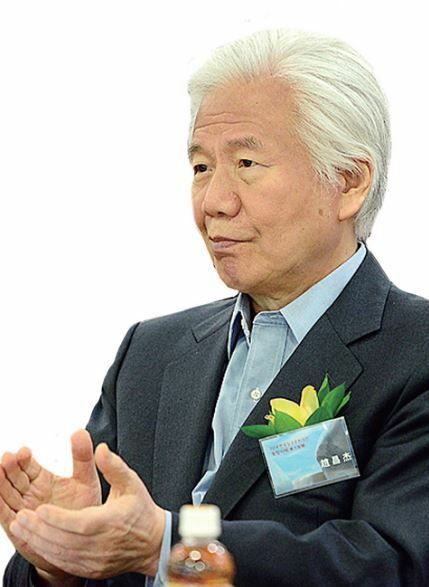 Based on his experience in opening an applied science research center in 1969 with his Seoul National University colleague, Cho resigned from the furniture business in 1994 to develop his long-cherished plan. In 2012, he founded Hanssem Design Beyond East and West, or Hanssem DBEW, to financially support young talented Koreans, with Cho donating nearly half of his Hanssem shares worth over 40 million won. This year, he is taking his plan to the next level by establishing Yeosijae with participation from renowned opinion and business leaders, such as former finance minister Lee Hun-jai who will chair the organization. Aside from collaboration projects with other renowned research centers, the think tank is slated to host an East Asia affairs forum this month in order to advance the development in Northeast Asia.